Texas received a mini cool front Tuesday morning which has me dreaming of tall boots and scarves. I'm throwing it back to this fall look for a little inspiration. 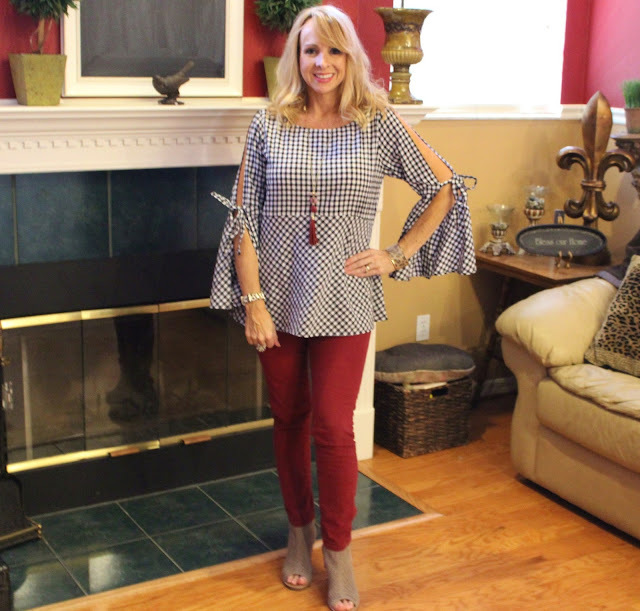 If you are looking for a little more fall inspiration be sure to head over and see my review of my Fall Stitch Fix! I use to be totally afraid to wear white jeans after Labor Day but not anymore. Look how nicely a few fall colors work to totally have you fall for white jeans even in October. Be fearless when it comes to finding a style that works for you! These ladies were the top three viewed posts from last weeks style linkup. Be sure to linkup your post today and this could be YOU next week. Sweet Kellyann linked up and shared all about the Common Thread Challenge. Laura shared this look that is always an easy one to pull together all year long! She agrees with me, white jeans are so okay after labor day! And Gina shared this lovely cardigan. Be sure to check out her post because you won't believe where it's from! Now it's your turn to add some style to your week! 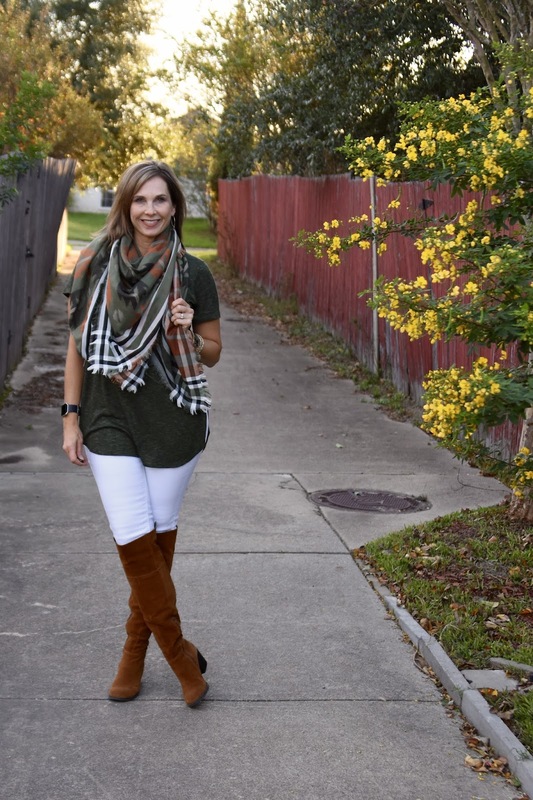 Linkup your favorite look with The Blended Blog!